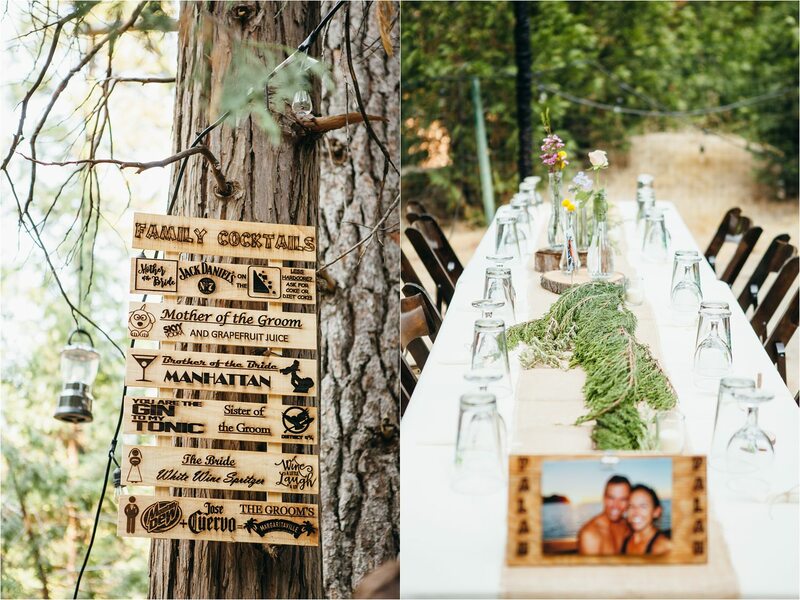 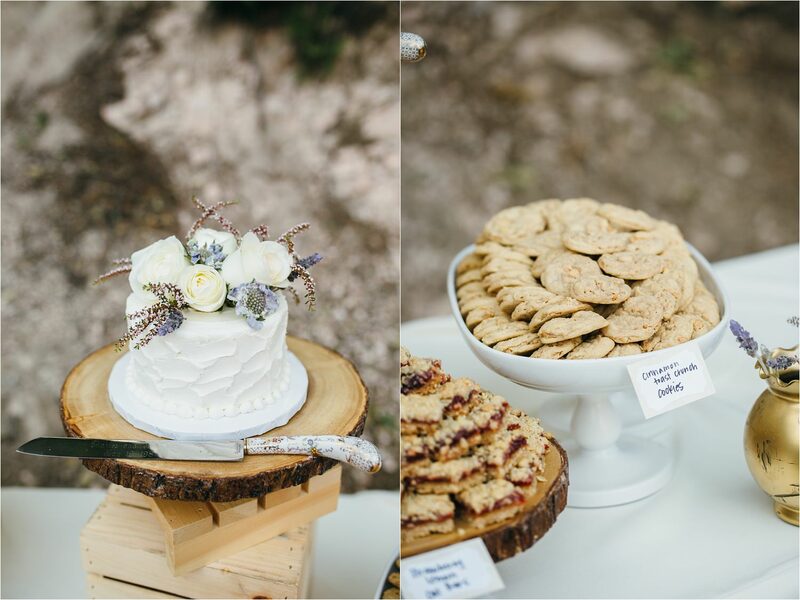 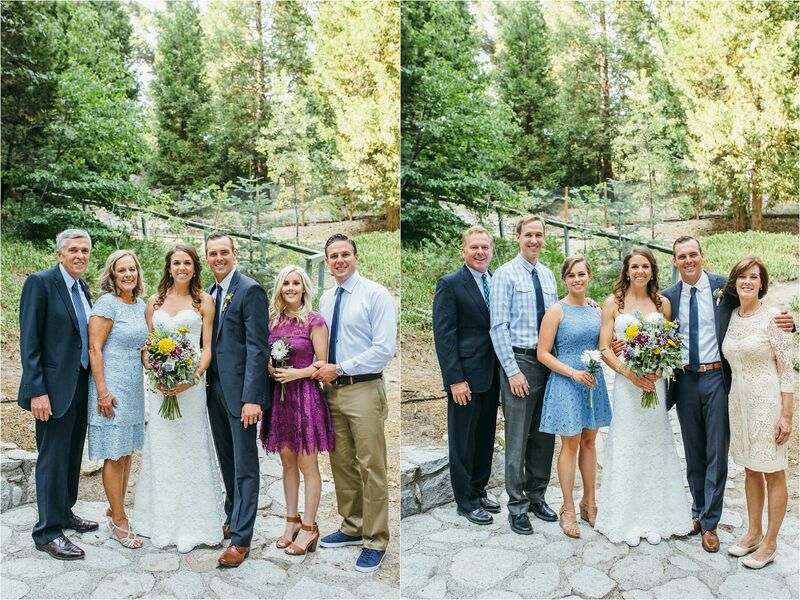 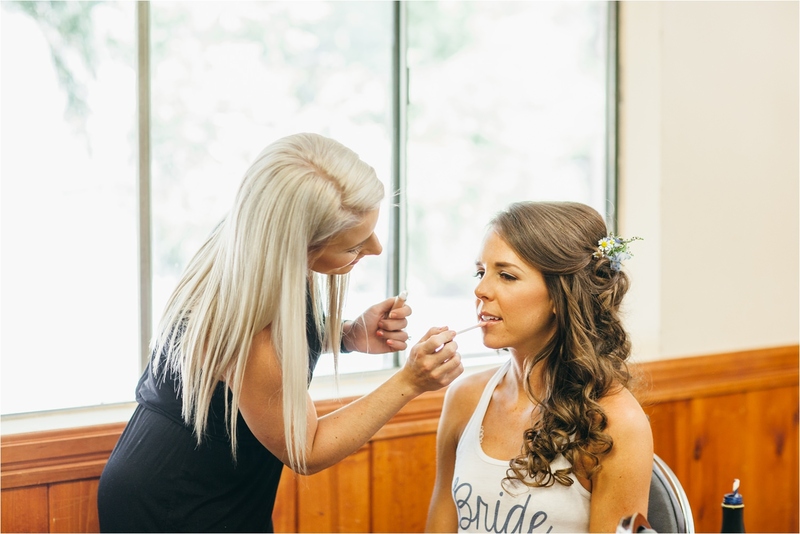 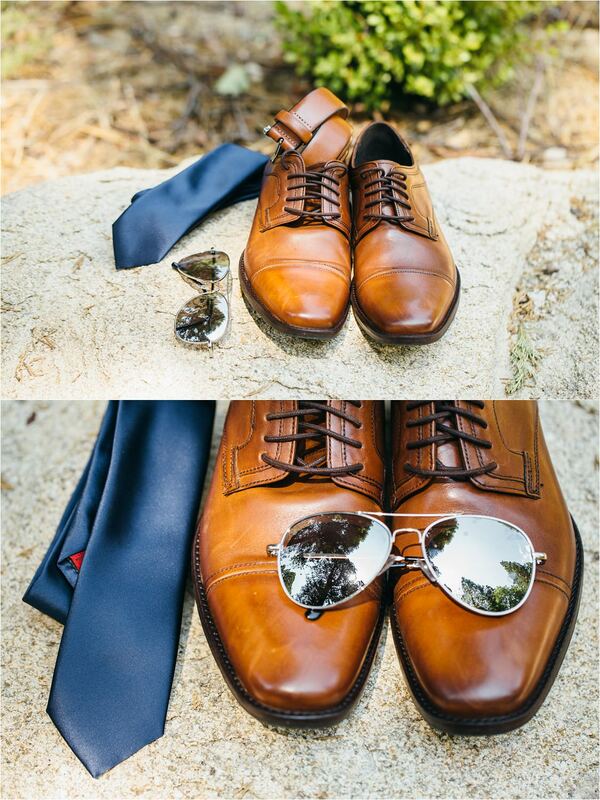 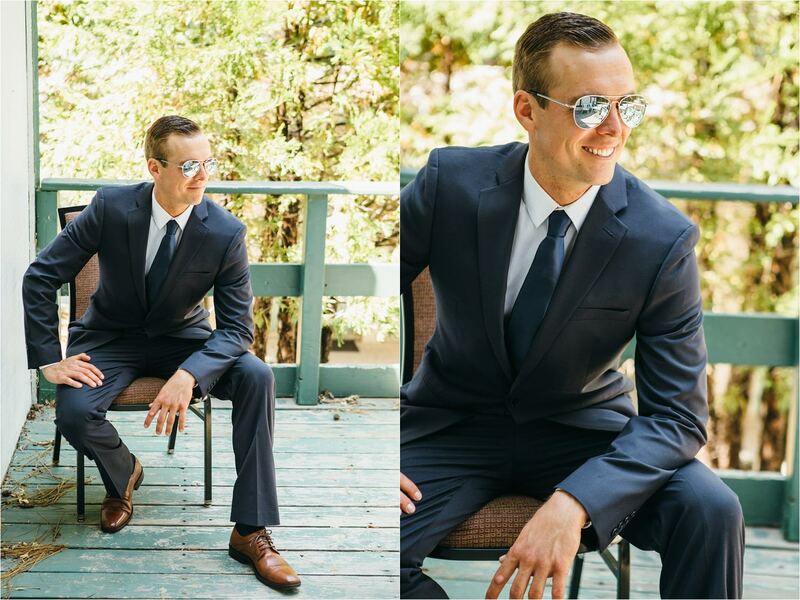 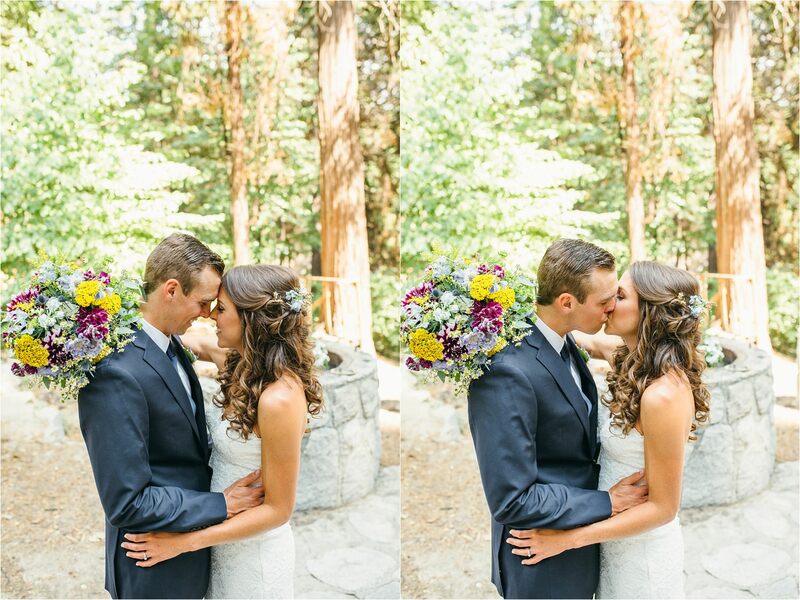 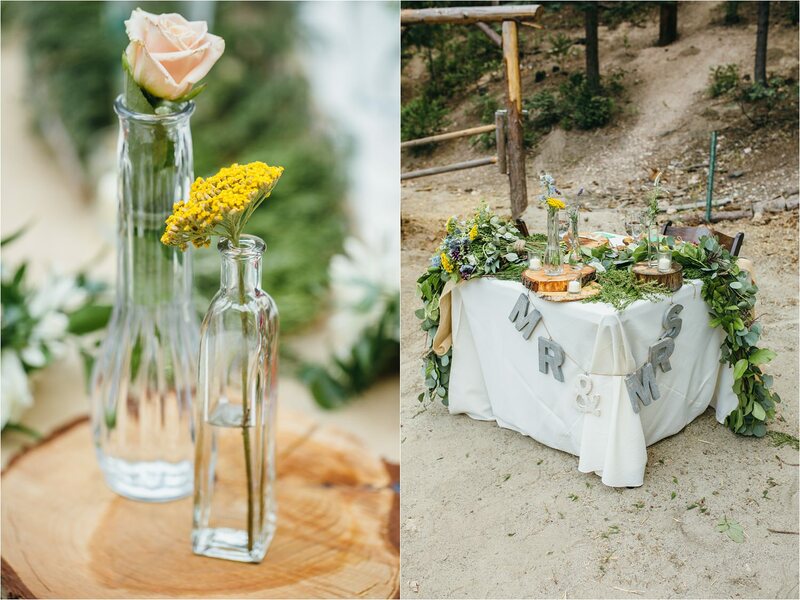 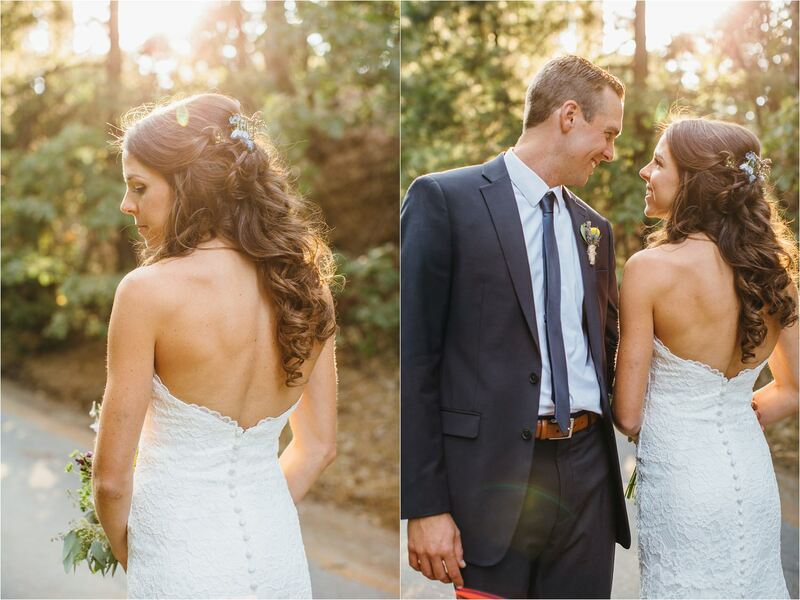 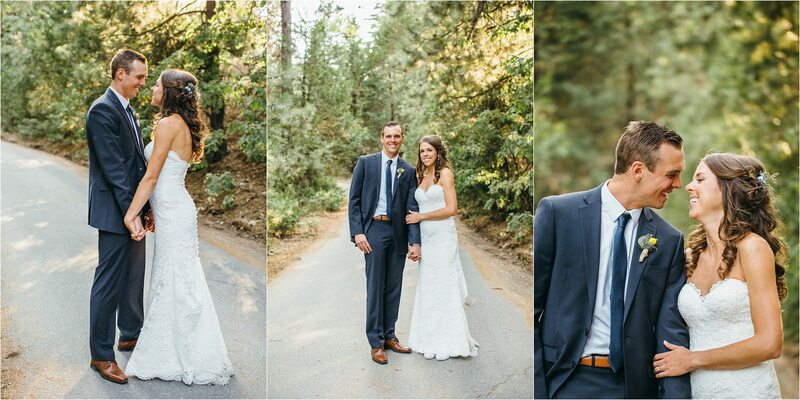 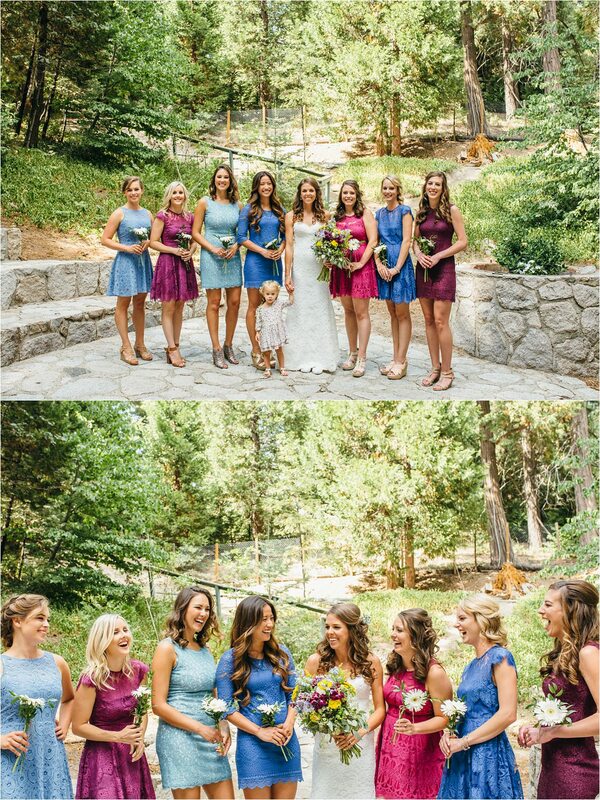 Where to even start about this gorgeous Lake Arrowhead Wedding?! 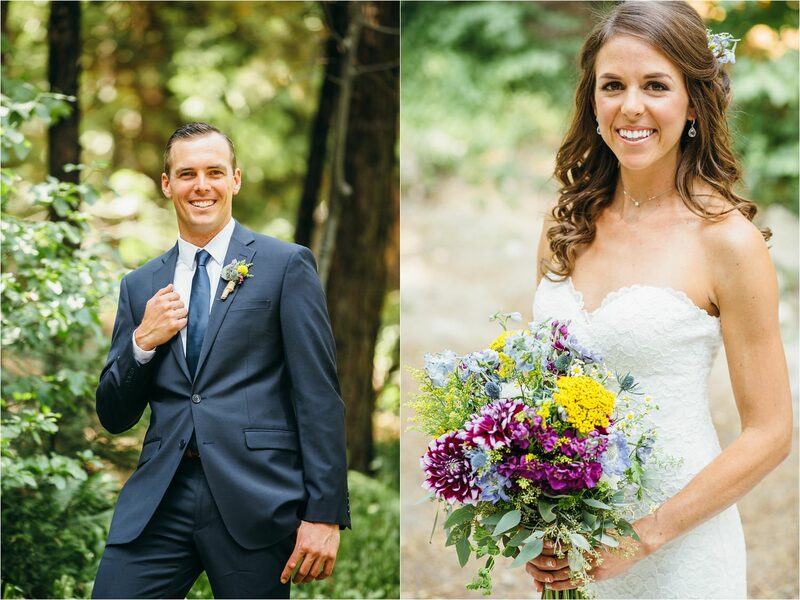 When Cara had first reached out to me about photographing their wedding, she expressed how important family and friends were to her and her husband to be Andy. 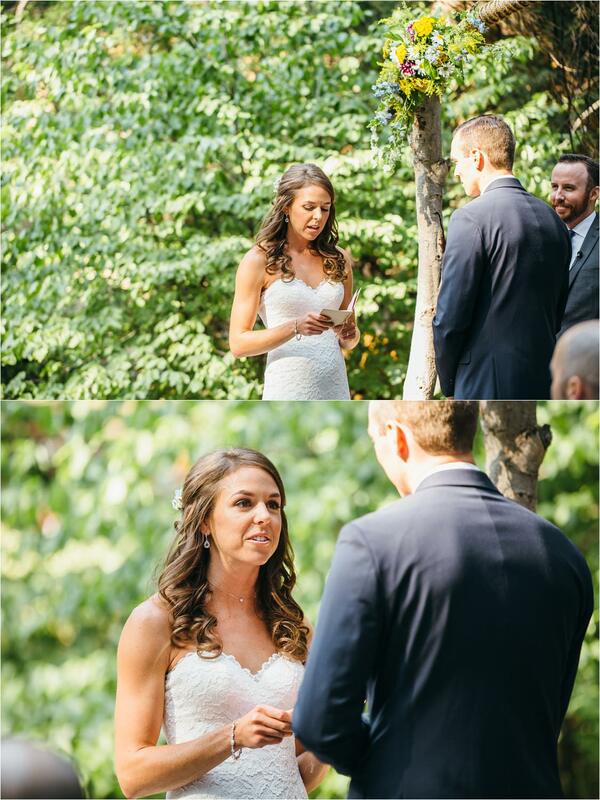 And that became very apparent when she went on to explain the details of their wedding. 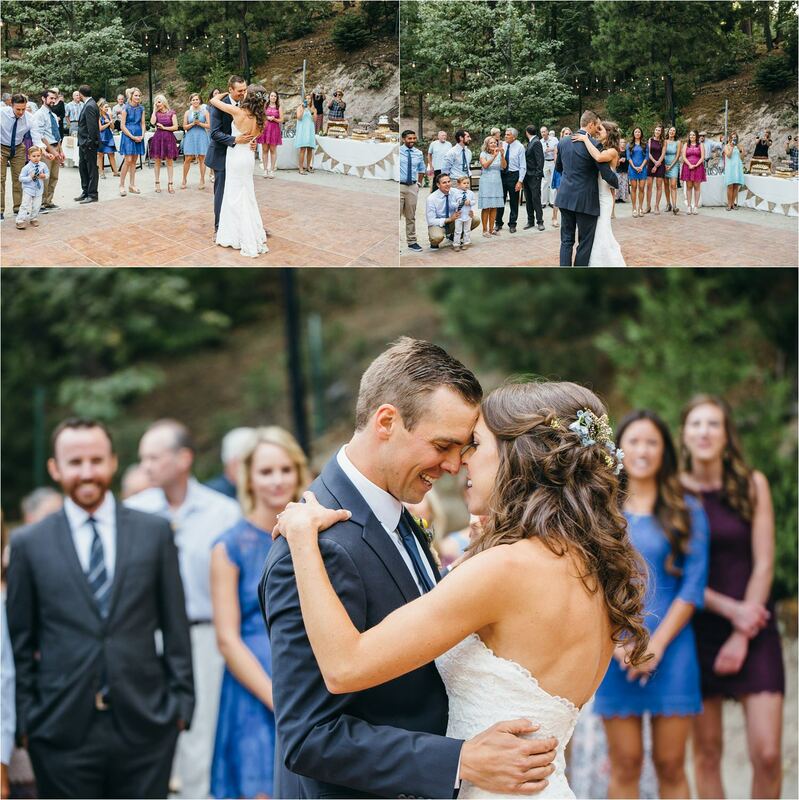 Andy and Cara are very adventurous and love the outdoors so getting married in the mountains fit them perfectly. 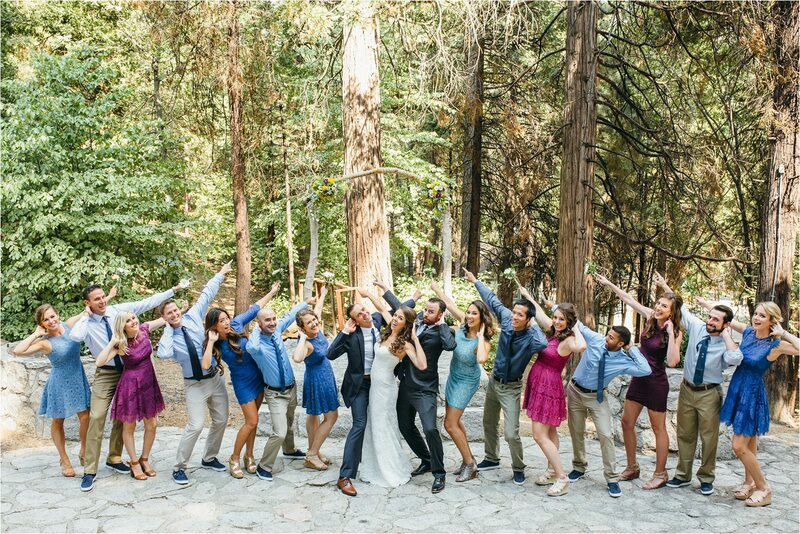 As they were dating, their friends and family nicknamed Andy and Cara ‘Candy’ so they decided to have a Summer Camp Themed Wedding and called it Camp Candy. 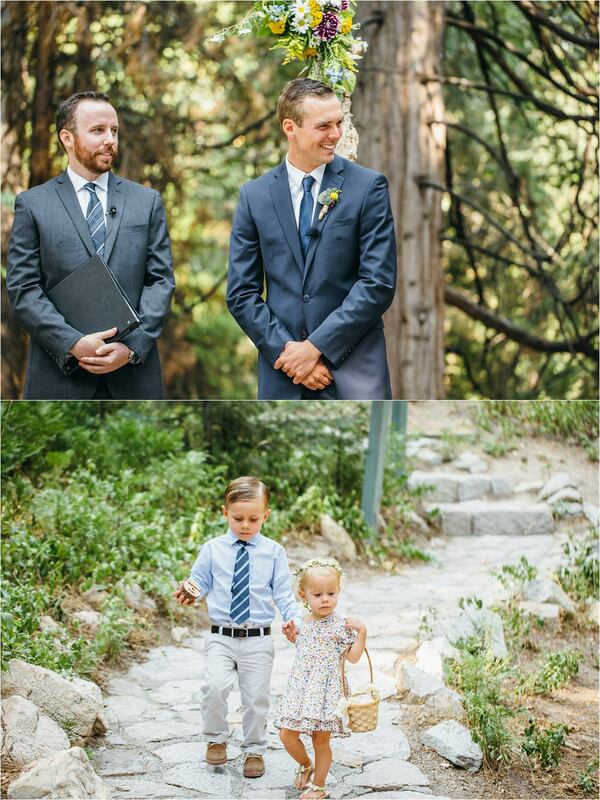 How adorable is that?!! 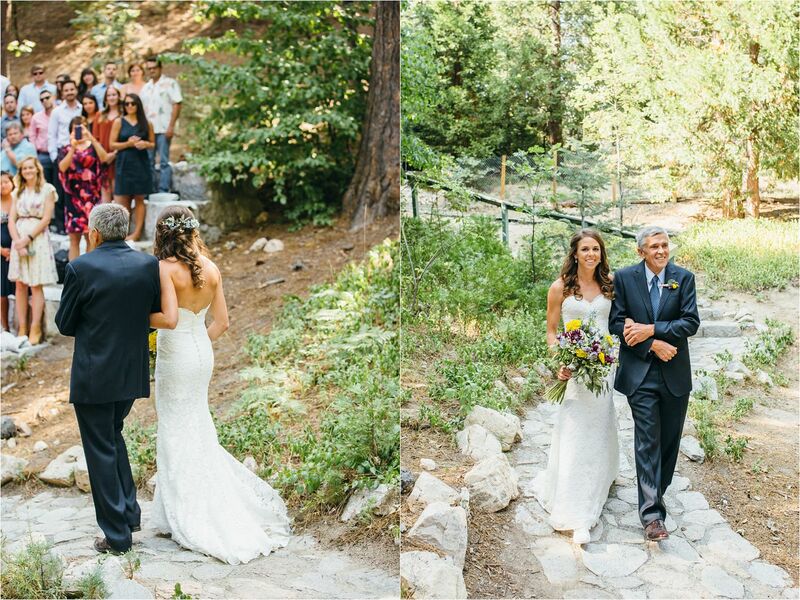 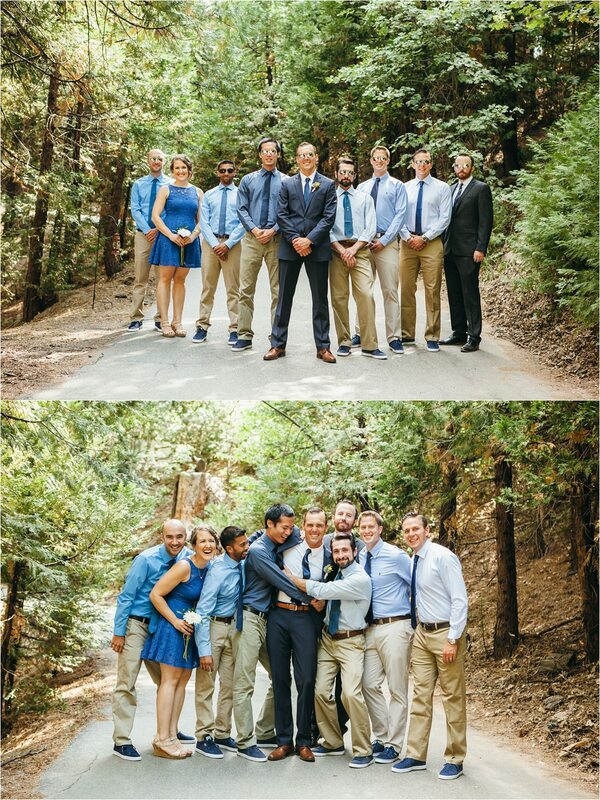 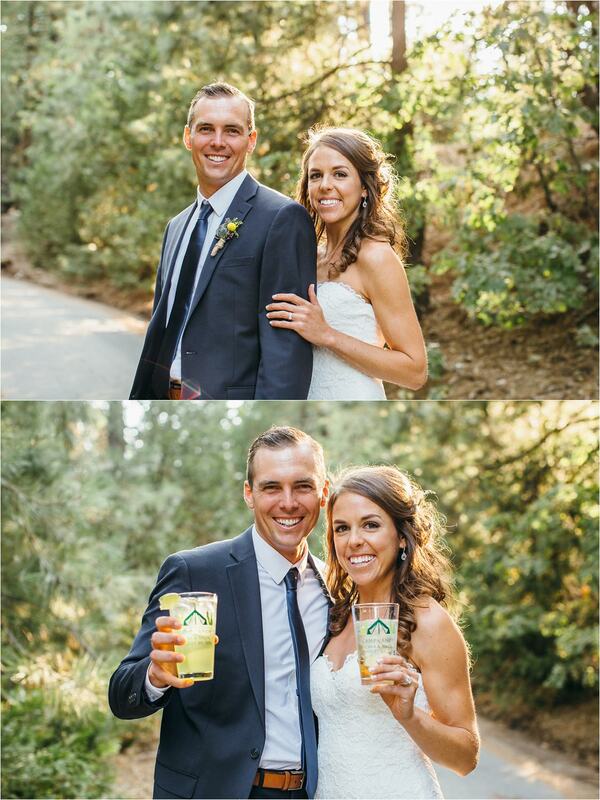 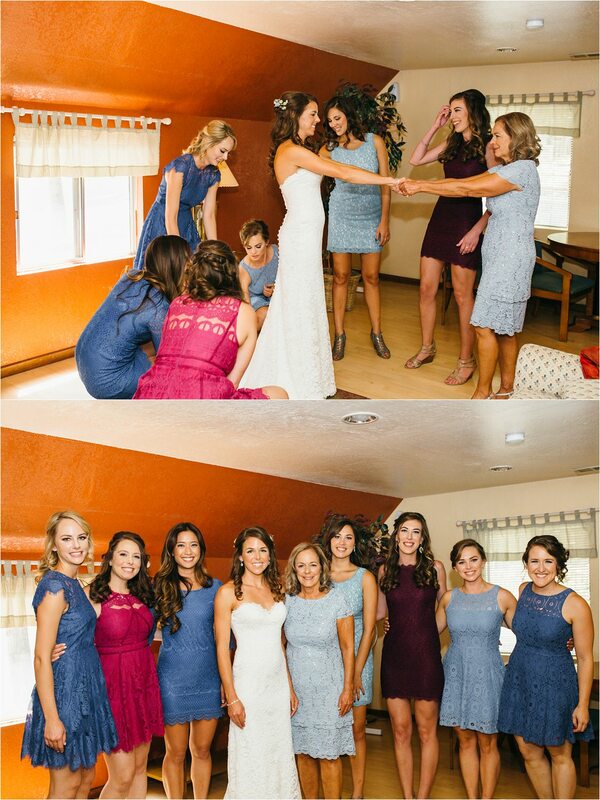 They planned an entire weekend event up in Lake Arrowhead and stayed in cabins on the property where the wedding was held which was exactly how they envisioned their wedding weekend. 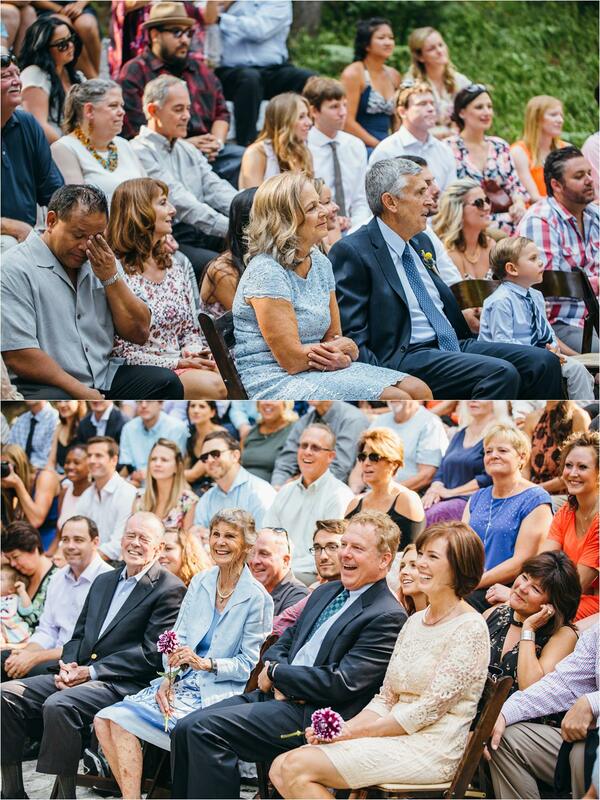 Relaxing, fun and surrounded by the people that meant the most to them. 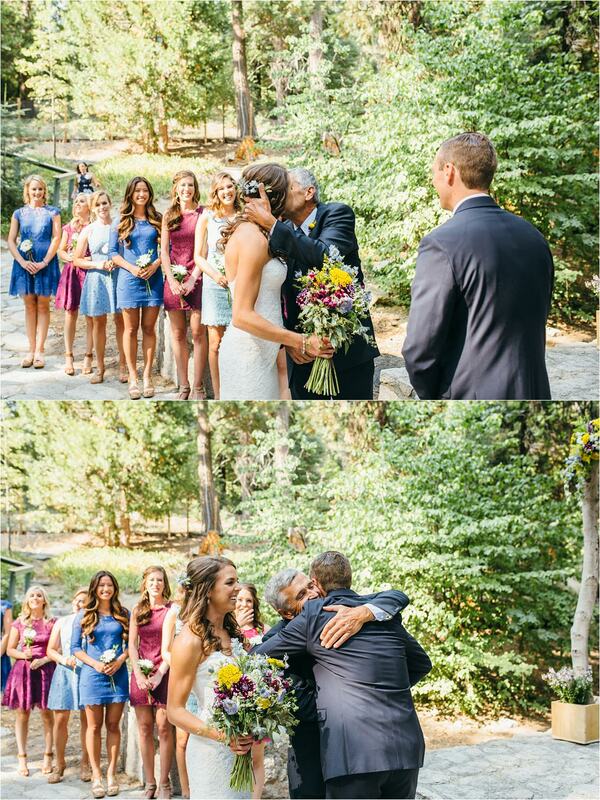 Cara did a first look not only with Andy but also with her dad. 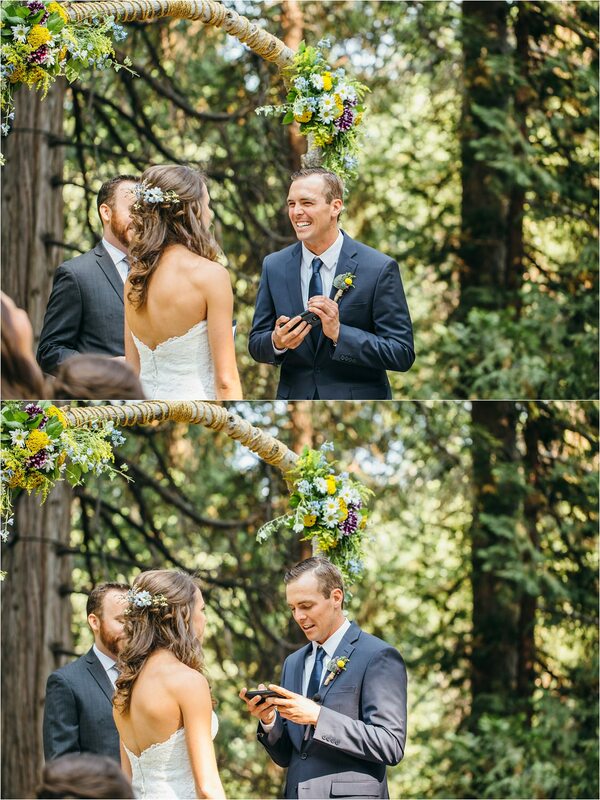 Both were shocked at the sight of her because she made such a stunning bride and they couldn’t wipe the smiles off of their faces after seeing her! 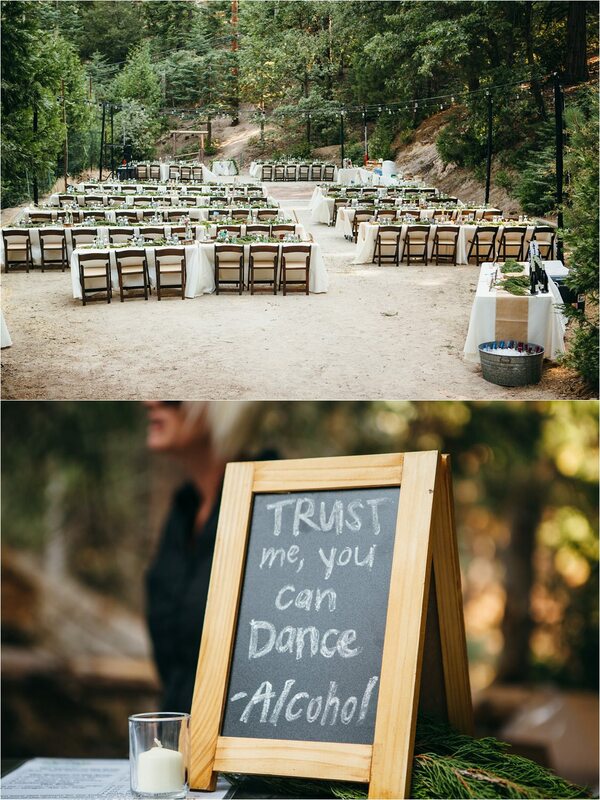 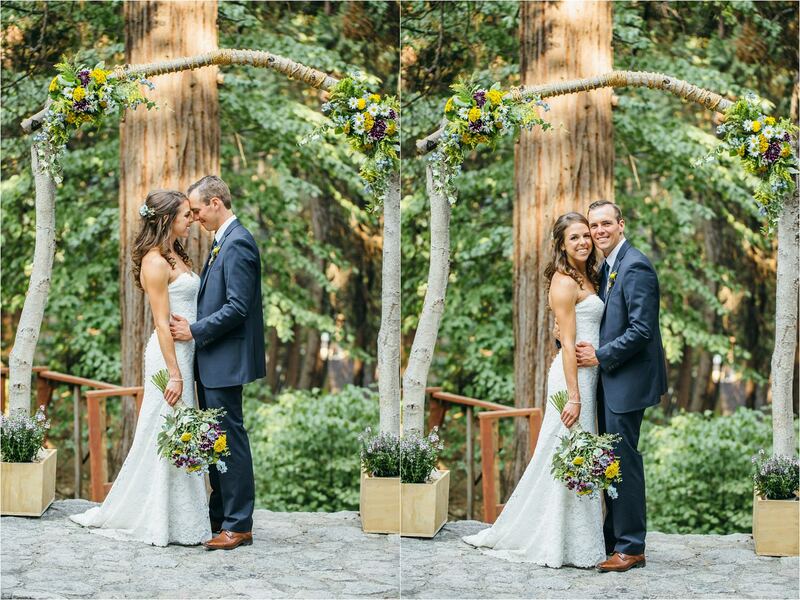 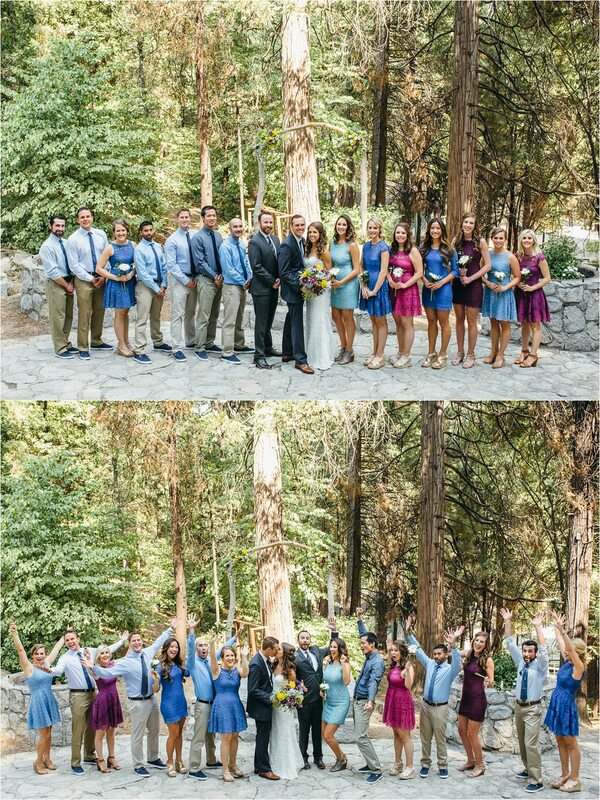 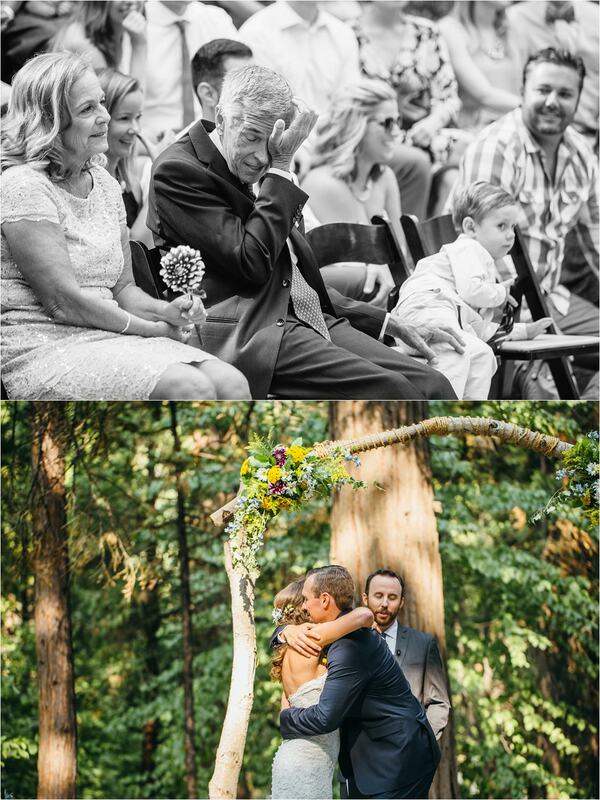 The ceremony took place in the amphitheater surrounded by trees and the people they love the most. 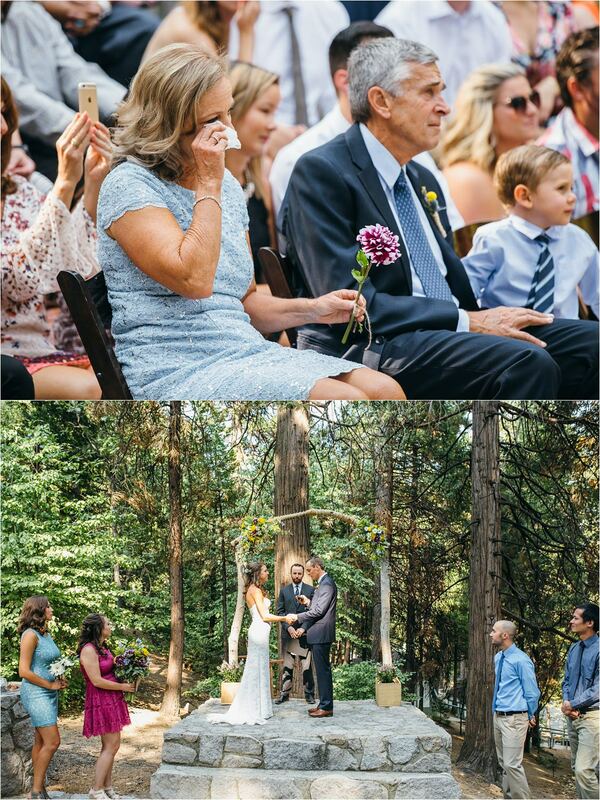 It was such a touching ceremony and they included their wedding party in different parts of the actual ceremony which made it super unique and very special to them. 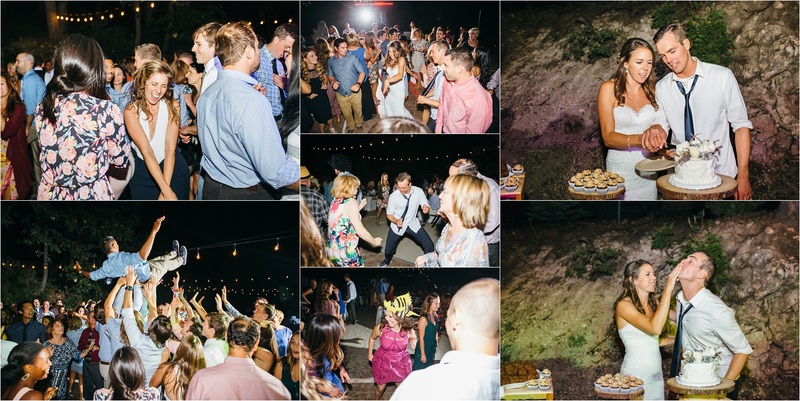 The reception was a blast and I don’t know if I’ve ever seen a more packed dance floor! 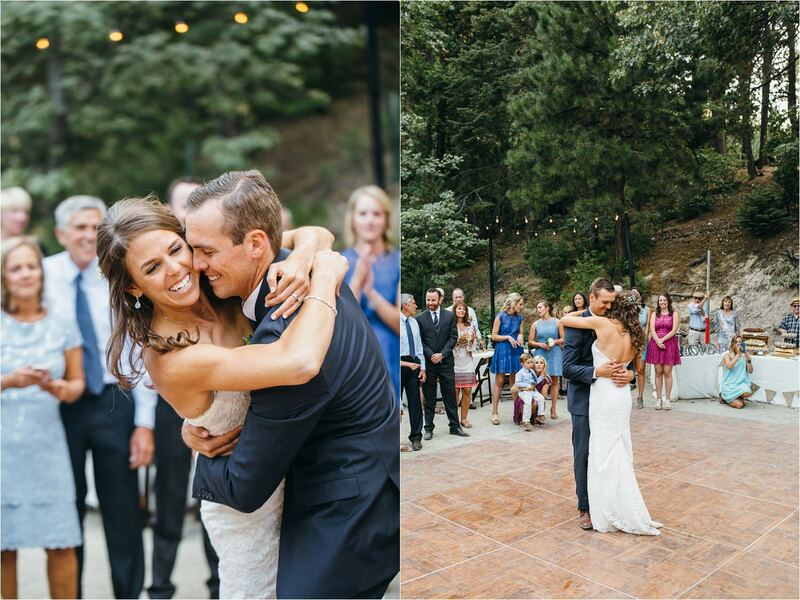 Everyone had such a wonderful time dancing the night away under the stars in Lake Arrowhead and I will always remember how perfect their wedding day was because it fit Andy and Cara perfectly. 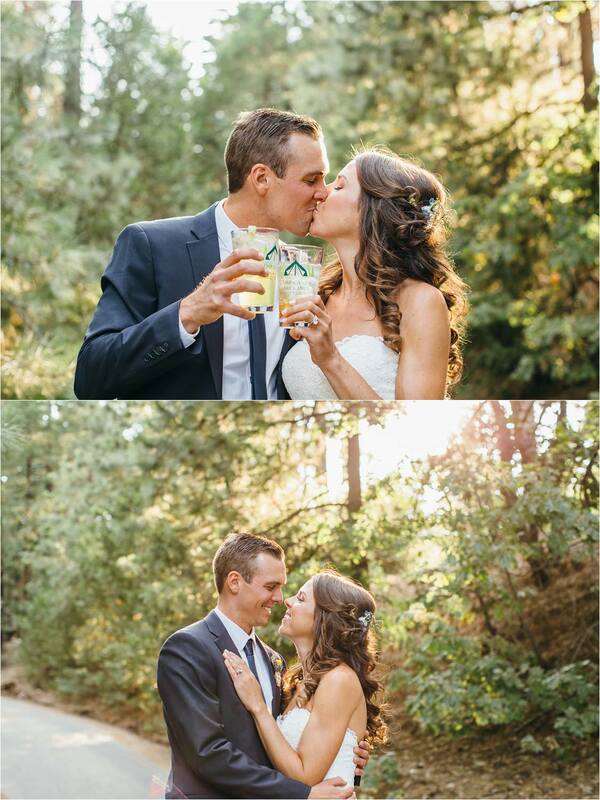 Camp Candy was a huge success and I couldn’t be more happy for the two of them!